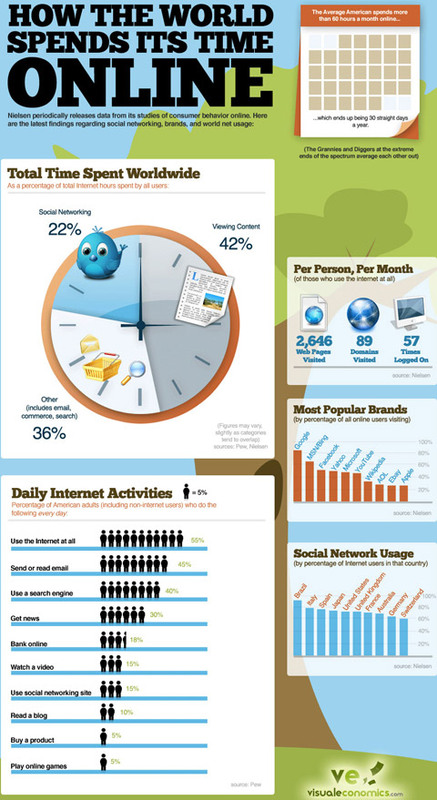 Have you ever wondered how the world spends its time online? You’re in luck, this image tells all — data gathered from Nielsen. Did you know that internet users spend 42% of their time viewing content and 22% on social networking? If not, continue reading for those online time facts and more.